Thomson Creek Farm: My take on traditional marriage. I wrote this several days ago. I felt very strongly that I was supposed to post it. I didn’t want to. First off, it is a little too personal. Not really the thing I want everyone having access to. Secondly I didn’t feel like it was very cohesive. I felt like my example was WAY off. Just because it made sense to me, in my head, didn’t mean that others would get the connections I had attempted to make. I also felt like I wanted my blog to be a happy place, a place where people could come and feel good, not a place for me to speak out against anything. But most of all, I was scared. I was (and still am) afraid that I would offend people I love. I know my belief isn’t popular or politically correct, and so I assume that people that are with the mainstream on this topic would attack me. I am extremely sensitive—I hate being attacked. So I did what I thought was a compromise. I posted part of it, and buried it in another post. I didn’t link that post to FB, and I called it good. The problem was—I didn’t feel good. I felt like I wasn’t standing up for what I believe in. I was letting imaginary people bully me inside my head so that real people couldn’t bully me in real life. 26 March 2013 “I have recently told the Lord that I would write anything he inspired me to. I had a lot of images of happy, lovely posts. I have written some of those. I didn’t imagine this post. In fact, when I woke up this morning, I looked at my laptop and wondered what the Lord would inspire me to write today. I didn’t even imagine this post would be it. Yet as I was on Facebook today, I saw all of these cute pink and red symbols taking the places of my lovely friend’s faces. It looked to me just like the blue and yellow equality symbol I see on people’s cars. After a quick google search, I realized that it is the same. 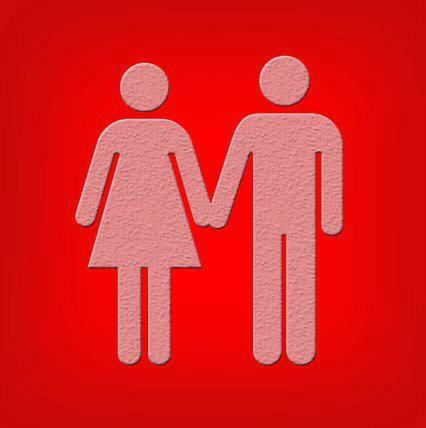 People are changing their profile pictures in support of same gender marriage. I have to admit, I have always wanted to be pro-gay marriage. Equality is a passion of mine! I think everyone should have equal rights. I also am a big fan of this gift called agency which God has given me. I feel like it should be given to everyone. Besides, being pro-gay marriage is the politically correct stand point. And the number one biggest reason why I have always wanted to be pro-gay marriage is how many wonderful friends I have that are gay. I really do have some AMAZING friends that are gay. And I LOVE them!! I really do. So I have naturally leaned towards equality in marriage. This is hard for me to talk about because really, who am I to say? I am heterosexual. I just am, nothing I can do about it, I like boys. Yet, I have several guy friends whom feel the same way. Nothing they can do about it, they like boys too! Yet, I do have a little secret; I don’t like all boys the same way. I had this particular thing for felons. Sick hu? Yet true. I know my mother was very worried about me in my 20’s. I kept dating really scary guys. Let me tell you about a guy I didn’t date. For internet privacy, we will call this guy Sam. Sam was a client of mine. I was a social worker, working in Phoenix at the time. For the most part I worked with addicted moms. This case was a little different. Sam had just gotten out of prison. Sam had an eight-year old son. While he had been in prison (for manufacturing meth) his son had gone into protective custody and the mother’s rights had been severed. Sam was the best placement for this little guy. He had seemed to have turned his life around while in prison. I was working on reunification and parenting skills with him. There was something about him. I don’t know what it was, but there was chemistry between us. (Maybe because he had been a “chemist” in his previous life? just kidding.) Yet there was a strong connection. One day during a visit my cell phone rang. I was expecting an important phone call for another case, and it would have been coming from a number that wasn’t programed into my phone. So I excused myself and took the call. It was a wrong number, so I resumed my conversation with Sam, when the phone rang again. It was the guy who had just previously called me. He asked what my name was, and if I was single. I told him that I couldn’t talk—I was working, and hung up. Sam, by this time, was extremely curious in my conversation with my mystery admirer. I told him that I got that a lot—I must have a friendly voice. He raised his eyebrows at me and said, “Well, I know that I certainly look forward to our conversations.” That was the comment that kind of broke the ice. I knew that he was feeling the same things I was feeling. We tried not to talk about it, but the sexual tension was palatable. One day I had a therapist come with me to the appointment and at one point Sam left the room and she asked me if there was something going on between us. With Sam, it was easy. I would have to have crossed some extreme well defined lines to date him. It wasn’t ethical. There were others like Sam, not that I had as clients, but other guys. They didn’t manufacture meth, but they had their own “charms”—I dated them. They weren’t felons, that I knew of, but guys that weren’t the kind of guys you take home to mom (even though I did take some of them home to mom, hence the fact that she was worried about me.) I was worshiped by some, used by most. What it really boiled down to, is that although I was attracted to them, they wouldn’t give me what I really wanted out of life. I wanted a family. Not that they couldn’t have fathered a family, a lot of them already had some kids. I wanted a family with stability, with honor, with a father that my kids could look up to. So I made a different choice. Now before you get the rope to lynch me, I am not saying that homosexuals are similar to felons, and that they can’t offer stability, honor, and someone for kids to look up to. It is just that a family, to me, isn’t about sexual attraction. Although my husband is cute, that isn’t what makes us a family. What we provide for each other, and for our children, is what makes us a family. Most of the gay guys I know would make AWESOME dads. Yet they wouldn’t be a mom. The lesbian women that I know would make marvelous moms. Yet they wouldn’t be a dad. Genderless marriage breaks down the roles and responsibilities of parents. This I am passionate about. I believe that in an ideal world a child needs both a mother and a father. Naturally, these protections regarding procreation cannot be extended to a homosexual union because that union cannot procreate. The solution to the problem cannot be to add protections to a power that does not exist. The only way that these non-procreative unions can become legally equal is to remove several biological protections—protections that that the law extends to the procreative unions found in traditional marriage. Thus, the invention of genderless marriage has the potential to affect the nature of traditional relationships more than the nature of gay relationships. According to this new definition of equality, court judgments are already being handed down that strip biological distinctions and hence ignore biological rights. States that have ratified homosexual marriage have done so by removing gender from the law, stripping rights from children and fathers and, in some cases, from biological mothers. For example, Illinois effectively instituted gay marriage by removing any reference to gender from their marriage laws. Likewise, Massachusetts’ marriage certificates recognize not bride and groom, but Party A and Party B. Whose Rights are Threatened by Genderless Marriage? So now you may understand why I am pro-traditional marriage. I may have also just made a rambling fool of myself. Either way these two articles by gay men have helped me understand why I feel we are trying to make an apple into an orange. Check them out here: http://www.thepublicdiscourse.com/2013/03/9432/ and here http://www.joshweed.com/2012/06/club-unicorn-in-which-i-come-out-of.html . Thank you Tiffany, that was very well spoken, love it! Thank you for your post Tiffany. I've also found it hard recently to speak out regarding this topic, it's hard when your view is seen at the politically incorrect one. Thank you for your example of courage. I haven't commented yet because I have like to take time to digest what you posted. Because we are both Social Workers and have seen some of the "real world" your post has made me stop to think. I have a cousin, who I dearly love with all my heart, leave the church, his wife, his children, and his family to pursue the gay lifestyle. My heart was broken and confused. In Graduate School at the U they brought out a panel that were transgendered, gay, lesbian, and parents of homosexual children who were active members of the church. I sat there not knowing what I thought. It has been a work in progress since 2005 and I am starting to get answers. I am grateful for the churches new web sight that confirmed some of my thought and encourages members to eliminate bigotry. Your post just adds to my thoughts on this matter. Thank you for taking a stand. I'm pretty sure this post was for me.